People with disabilities make an enormous contribution to European society, but often face barriers that prevent them from participating in society on an equal basis with others. Realising the core EU values of dignity, autonomy, equality and inclusion means removing the obstacles that hinder the full and effective participation of the 80 million people with disabilities living in the EU. The EU’s Charter of Fundamental Rights prohibits discrimination on the ground of disability and recognises the right of people with disabilities to benefit from measures to ensure their independence, social and occupational integration and participation in the life of the community. The rights of persons with disabilities in the EU are also protected by the UN Convention on the Rights of Persons with Disabilities (CRPD). 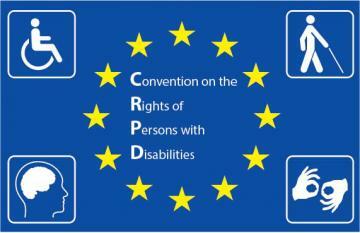 In 2010, the EU accepted the CRPD, the first time the EU itself has accepted an international human rights treaty. FRA’s work on the rights of persons with disabilities is framed by the principles of self-determination, participation and inclusion set out in the CRPD. FRA examines where legal and social barriers exist, and identifies practices EU Member States have introduced to empower people with disabilities. FRA also develops human rights indicators to show how Member States are meeting their obligations under the CRPD. As part of the EU Framework to promote, protect and monitor the implementation of the CRPD, FRA helps to ensure that the convention is implemented effectively and efficiently by the EU in its area of competence. With three months to go before the 2019 European Parliament elections, hundreds of thousands of Europeans deprived of legal capacity are prevented from exercising the right to vote and stand for office. A new FRA paper looks into the problem and suggests what is needed so that people with disabilities can enjoy their right to participate in the electoral process. 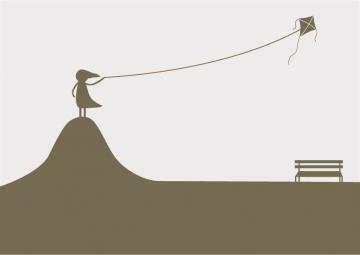 Choosing where to live, with whom, and what to eat, when, are some of the realities of independent living that most of us take for granted. But for people with disabilities theory and practice can be worlds apart, finds the European Union Agency for Fundamental Rights’ latest report. It explores what enables and what hinders the drive towards independent community living for people with disabilities. The project aims to assist EU institutions and Member States to ensure that the right of people with disabilities to live independently and be included in the community is fulfilled. It does this by examining how measures to achieve the transition from institutional to community-based support are implemented, and identifying drivers and barriers to this transition. The project aims to further develop and populate indicators on the right of people with disabilities to political participation. This project will look at hostility, including violence, towards children with disabilities across the EU. It seeks to identify the legal and policy framework, as well as determine how information about such hostility is being collected. In addition, the project will look for examples of promising practices of how some Member States are addressing the problem. Who will (not) get to vote in the 2019 European Parliament elections? The right to vote is at the heart of what it means to live in a democratic society. However, legislation sets out a number of restrictions on this right. With a view to the European Parliament elections in 2019, this paper presents developments in the situation of the right to vote for people deprived of legal capacity in the EU. The Convention on the Rights of Persons with Disabilities commits both the EU and all of its Member States to realising the right of persons with disabilities to live independently in the community – which includes achieving deinstitutionalisation for those residing in institutional settings. But much remains to be done to make this a reality in practice. This report presents the main insights gained during fieldwork on the drivers of and barriers to deinstitutionalisation. Focusing on the local level, it gives voice to a diverse set of actors – most importantly, to people with disabilities themselves.